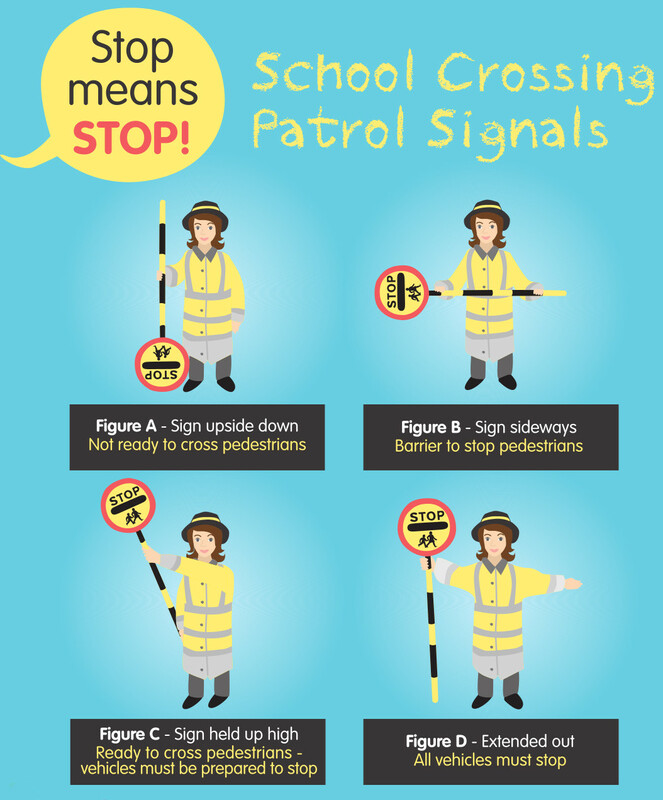 School crossing patrol officers help children and adults to safely cross busy roads outside schools. Even where a school crossing patrol is provided, it remains the responsibility of the parent or guardian of the child to ensure they travel to and from school safely. When a school crossing patrol officer displays their STOP sign, motorists must stop. Failing to do so is breaking the law, and drivers will be reported, risking a fine of up to £1000 and 3 penalty points on their licence. School crossing patrol officers need to see, and be seen. Drivers should always keep school entrances clear, as inconsiderate parking can be very dangerous for pedestrians. Site specific surveys are carried out and school crossing patrol sites are justified by national criteria. This is a calculation based on the number of vehicles passing the crossing point combined with the number of children crossing between the busiest periods. Additional factors are also considered, such as visibility, road width and vehicle speeds.